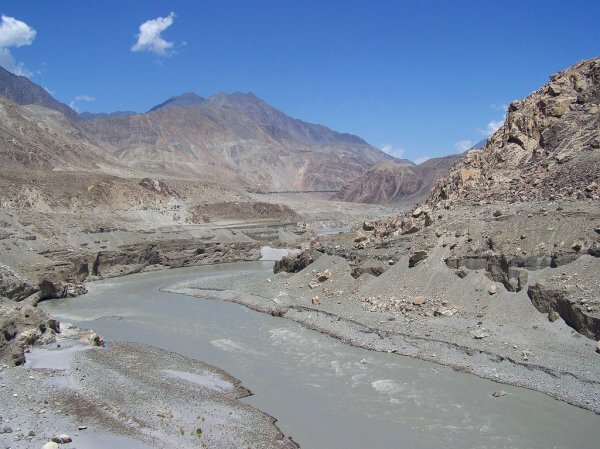 Despite the lack of financial support from international monetary organizations and banks and the disastrous consequences for its population, the Pakistani government continues the construction of megadams in the disputed region of Gilgit-Baltistan. Manzoor Hussain Parwana, the chairman of the Gilgit-Baltistan United Movement, declared to the media that after international monetary organizations and banks refused to provide funds to Pakistan for the construction of the Diamer dam, the Pakistani government launched the construction of the Bunji dam. Mr. Parwana added that “the people of Rondu would not even allow Pakistan to build a small lake in the area let alone a mega dam”. With the construction of the Bunji dam, the historic town of Shingus would be severely damaged including partial flooding of the area and the loss of traditional lands rich in minerals and precious stones. Local residents would also be deprived of grazing grounds, a major environmental issue compelling the indigenous populations to migrate to other areas. The GBUM leader said that without allaying the reservations of the people to be affected by the mega dam project, “if the government of Pakistan launches the project, it will face a strong resistance movement. He added that his party would continue its efforts to safeguard the interest and the rights of the local people and would resist any move to construct the dam.